At the end of the Plaza de la Aduana, is the Plaza San Pedro Claver, a small square dominated by the Sanctuary, Museum and Church of Saint Peter Claver. Enter through the Sanctuary, to the left of the church. 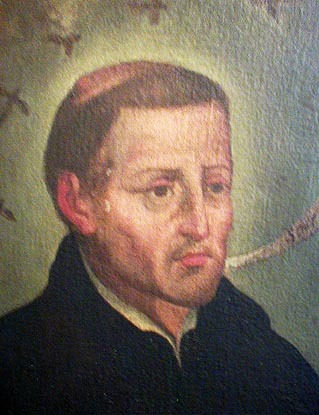 Within the Church are remains of Saint Peter Claver, the first Saint Cannonized in the Western Hemisphere. Click to visit the complete Home Page of this internationally popular tourist and religious shrine honoring Saint Peter Claver, of Cartagena de Indias, Colombia. Hours: Monday to Friday, 8:00 a.m. - 5:30 p.m.
Saturday, Sunday and Holidays, 8:00 a.m. - 4:30 p.m.